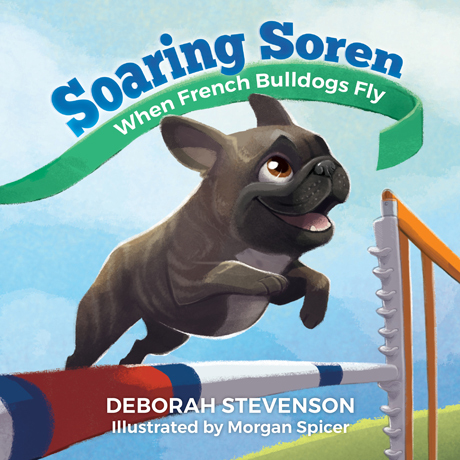 Saturday, May 13, 2017 — Deborah Stevenson, author of Soaring Soren, will be appearing at the Port Chester Training Club at Nutmeg PWD Agility Trial in Yorktown Heights, NY on May 13. Look for her in Franklin D. Roosevelt State Park, Fields 1–2, at the SNY/National Canine Cancer Foundation tent. Deb will be signing and personalizing copies of Soaring Soren for the occasion. A portion of the proceeds from book sales will be donated to SNY/NCCF at the Dallas and Angel Friends 5th Annual fundraising event. If you love dogs or have ever been curious about the sport of agility, this is a perfect opportunity to observe it firsthand and meet a competitor and author!